Would it surprise you to learn that many people suffer from fibromyalgia and hypoglycemia symptoms at the same time? It turns out that the symptoms of both conditions overlap, and many fibromyalgia patients benefit from following a low-carbohydrate diet that is typically prescribed to hypoglycemic patients. It is also important to know that the dietary principles that I have taught and used over many years can help to not only balance blood sugar levels, but help with many other symptoms. Remember that with fibromyalgia, pain is just one symptom. There are many symptoms that simply create irritability and a feeling of being uncomfortable in your own body. Blood sugar imbalances is one of those. As a colon therapist, one of my primary goals is to help you create meal plans that work to help you assimilate more nutrients, improve digestion and elimination, and balance blood sugar, blood pressure, and other related symptoms. My point is that blood sugar imbalances rarely act alone. For a more sensitive individual, there can be blood sugar surges from simply eating any food, but especially carbohydrates. Even carbohydrates with more fiber need to be addressed, because those grain fibers can wreak havoc on the gut, especially with any inflammation present. Leaky gut has become more common these days due to the increased ingestion of sugars and grains. For the hypoglycemic, these symptoms are likely to set in about two or three hours after eating a meal that contains carbohydrates. Those carbs are a great source of energy for the brain and cells throughout the body. The human body naturally converts the food into glucose, and insulin is released from the pancreas in order to unlock the cells so that the glucose can enter. When an excess amount of glucose is present in the bloodstream, your body will store it as glycogen. If you go a long period of time without eating or the glucose in your blood stream drops for other reasons, your body will release stored glycogen and burn it for energy. This is the process that keeps the optimal level of glucose in the bloodsteam at all times, but it doesn’t work properly for those suffering from hypoglycemia. In this case, blood glucose levels drop too low, causing those symptoms listed above. The body may produce more insulin than is actually needed, removing too much glucose from the bloodstream. The adrenal glands are also overstimulated due to the rush of glucose, resulting in the overproduction of adrenaline to help with the surge of insulin. 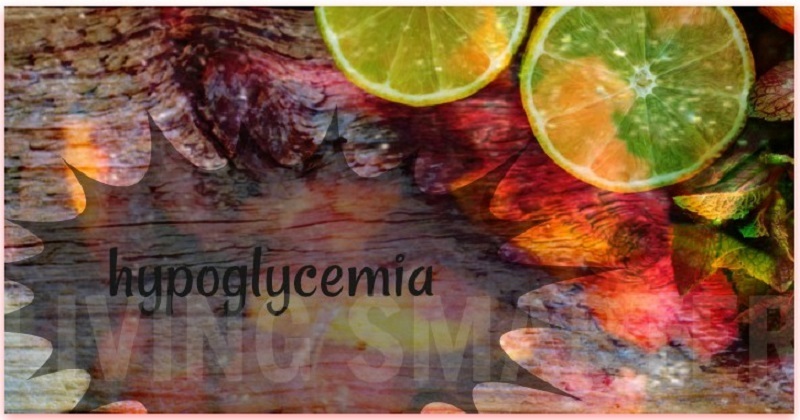 Some people experience the symptoms of hypoglycemia if they go too long during the day without eating, but others may experience extreme symptoms as a response to consuming sugar and refined carbohydrates. This is often referred to as “reactive hypoglycemia” and is the form of the condition often experienced by fibromyalgia sufferers. Consider following my suggestions here on the Nutrition Tips article page. These are very helpful in controlling blood sugar levels. If you are living with chronic hypoglycemia, you might be more prone to eventually developing pre-diabetes or type 2 diabetes. That makes it even more important to learn how to control your blood sugar naturally and effectively. There is some misconception out there regarding the benefits of "intermittent fasting" or what I like to call "modified intermittent fasting". Yes, it can be helpful, but it must be done the right way. I always err on the side of caution first. How can modified fasting be helpful for us? This is simply adhering to an eating window where we avoid eating too much later in the day and behaviors like night eating that can exacerbate symptoms in both fibromyalgia and hypoglycemia. Just recently we did an intermittent fasting challenge on the fitness page, Fibro Fit People. You may want to check out the photo section of that page where I created multiple graphics that break down some of the important points of creating an eating/fasting window. This actually supports blood sugar and essential regeneration of organs, like the liver and pancreas, which are directly involved in sugar balance. Avoidance of eating at night, or after the sun goes down, is a really important discipline to help not only our bodies, but to help us feel more empowered. You suffer from extreme fatigue and crave carbohydrates to stimulate energy. Eating meals heavy in carbohydrates (especially at breakfast and lunch) leads to instability in blood sugar levels, leading to even greater fatigue and a host of additional symptoms. This is hypoglycemia caused by the intake of all that sugar and refined carbohydrates. The increased fatigue leads to intense cravings for sugar and other carbohydrates. The more sugars you eat, the worse you feel, and the more carbohydrates you are likely to consume day after day. The end result is a lot of discomfort and extreme fatigue that can make it difficult to function. In many cases, the solution is a diet lower in carbohydrates and rich in lean protein, healthy fats, and vegetables. This is how you break the cycle to better support health and symptoms in fibromyalgia. Read more here about balance. Fibromyalgia dietary balance and healthy fats. The cravings for sugar and other carbohydrates may also explain why many people struggle to maintain a healthy body weight. When the diet is adjusted to favor complex carbohydrates over simple carbohydrates, weight loss often comes along with stable blood sugar levels and fewer sugar crashes throughout the day.